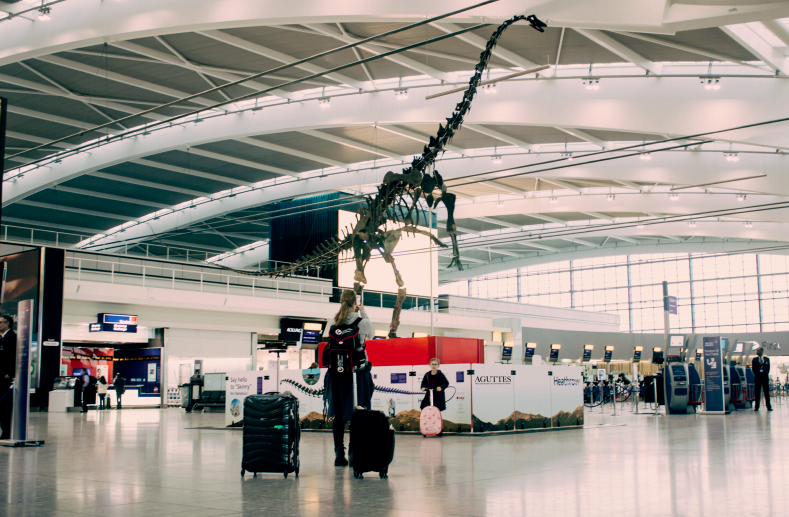 ‘Skinny’, a 42-foot-long Sauropod skeleton, is on display in the heart of Heathrow Airport until it goes under the hammer in June with an estimate of $2-2.5 million. At 150 million years old, SKINNY is a sensation in the world of palaeontology. Discovered in 2012 in Wyoming, the 42-foot-long by 20-foot-tall specimen is a cousin of the imposing Diplodocus. Regarded as the ‘Rolls-Royce of Dinosaurs’, SKINNY has been the subject of numerous comparative studies, as no species match can be found and, to this day, it still has to be scientifically named. Identified as a Diploadocid Sauropod, SKINNY belongs to a new kind of Diploadocid. 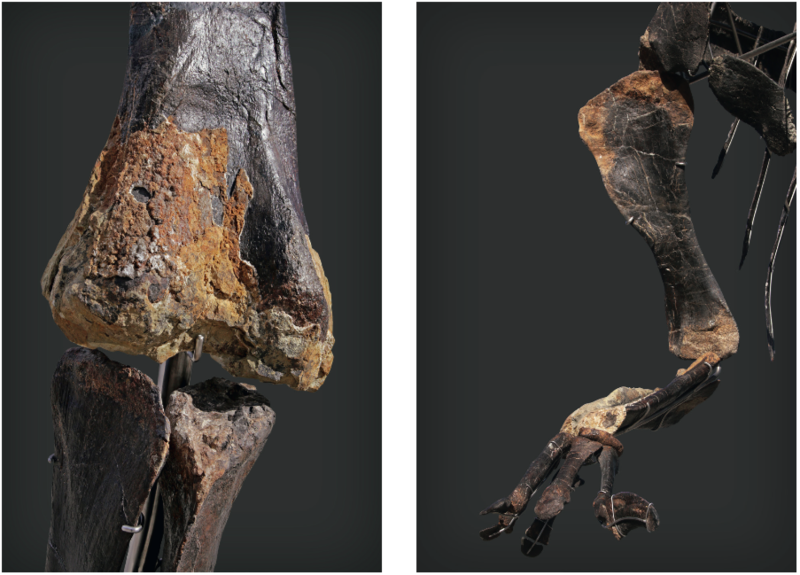 The skeleton is particularly well preserved, with over 90% of its original bone, and it has the unique feature of exhibiting skin impressions: “This is the first time that such skin imprints have been found directly on skeletal elements in a sauropod. SKINNY is a marvelous subject for scientific studies because the presence of these ‘soft tissues’ constitutes the only direct evidence of what living dinosaurs actually looked like”, explains Eric Mickeler, renowned palaeontology expert. 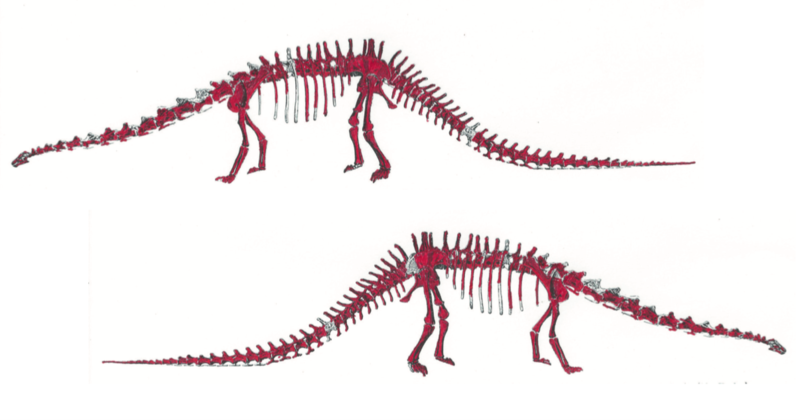 With the value of a dinosaur skeleton being determined by its percentage of native bone and the quality of the bones’ fossilization, SKINNY is superior to many skeletons known to date, including the billionaire Andrew Carnegie's Diplodocus, which had been reconstructed from fragments of several specimens. Each skeleton is accompanied by a complete file ensuring its traceability, including, among other things, the records of each bone found in the field and the osteological map of the skeleton reassembled. The Eric Mickeler Fossil label, created by the expert, is a certificate of quality which guarantees a uniqueness in the origin of the bones. Mickeler has also been one of the first to present dinosaur skeletons at auction, and is campaigning to preserve the transparency of this market, which he considers to be in full swing. SKINNY will proudly sit in the middle of the London Heathrow airport terminal until 3 June, when it will be repatriated to Paris and auctioned at Aguttes with an estimate between $2-2.5 million. After a slight technical intervention, its stainless steel structure, developed by the company Paleomove Laboratory, will allow the skeleton to be presented in various positions. Part of the proceeds from the sale will be donated to the protection of great apes. Aguttes orchestrated the $2.2 million sale of the Jurassic theropod at the Eiffel Tower in June 2018, which became the most important auction of the last 20 years for a dinosaur skeletona nd which helped the Sea Shepherd and Cheetah Centre environmental associations. If you're in London, say hello to SKINNY: who knows where his next owner will be?